Above: some of the uncanny overlaps between frames from films by the Russian cinema poet Andrei Tarkovsky (left) and the great American realist painter Andrew Wyeth (right). "What is art? . . . Like a declaration of love: the consciousness of our dependence on each other. A confession. An unconscious act that reflects the true meaning of life – love and sacrifice." Recently, culture critic and film scholar Hava Aldouby illuminated a unique zone of viewing pleasure by reminding us that the great Federico Fellini professed a desire to create “an entire film made of immobile pictures.” For me, the most tantalizing of films are those that draw extensively on art history, and particularly painting, as a reservoir for their highly retinal and idiosyncratic visual imagery. David Lynch, for example, said he liked making “moving paintings.” Something like Goya in action. Like Aldouby in these own astute observations about Fellini, we can also employ an innovative pictorial approach that allows us to uncover a wealth of visual art evocations throughout the astonishing bodies of work produced by these seminal film artists over the years. Each director occupies a uniquely personal place in the history of cinema, as well as in the larger history of art, but there is also one element they all share, apart from the exquisite nature of their artifacts: their intense absorption by the suspended and extended retinal experience. Dreaming with our eyes wide open if you like. A kind of enhanced ultra-reverie, transmitted like a visual virus, to which we, or some of us anyway, willingly submit. We do so, of course, because as Tarkovsky has suggested, all art, including the cinema, is an expression of our collaborative existence. It is our dependence upon each other for survival that provides the concrete raw materials for artmaking. Without interdependence, making art at all would be beside the point; with it, it is the whole point itself. Building sculptures made out of time itself instead of marble, all of the directors in this category of ultra-durational film artists could easily be considered part of the auteur school of cinema aesthetics. Here we differentiate between average studio entertainment and the highly idiosyncratic expressions of directors who clearly saw themselves as visual artists, using light and time as their paint and plaster. 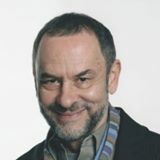 These film directors, or cinema artists as I prefer to call them, use the film medium not just in a philosophical manner, but as the primary delivery system for images which transcend the cognitive realm altogether and get right to the zone of the affective. Photography was the culmination of the history of art, and cinema was the culmination of the history of photography, and the digital domain is the culmination of the history of cinema. All are delivery systems for images. If there is a poetics to duration as there is to space, it probably involves the privileged state of reverie which films induce. They appear to be the challenging contemporary masters of what sometimes feels like a whole form of storytelling and filmmaking, as different from conventional films as film was from photography and photography was from painting. And yet they still seem to remain in the emotive and pictorial tradition of paint, but utilize light and shadow instead of pigments. 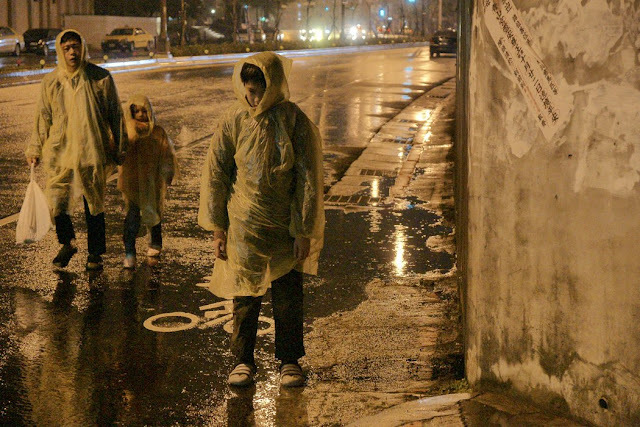 Director Tsai Ming-Liang's Stray Dogs. Their canvas survives, however: it has morphed into a screen, a canvas which has the power to swallow up the viewer entirely by entering our heads. Here’s a great reference for this canvas. 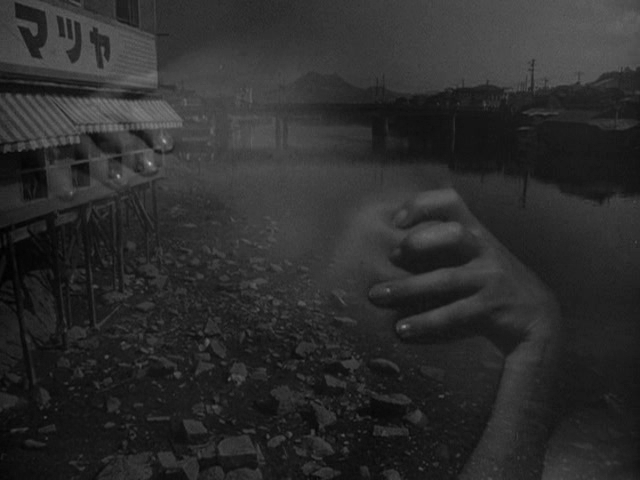 The Art(s) of Slow Cinema is a charming website devoted exclusively to . . . well, sloooooooow films, and conducted or choreographed by Nadin Mai, who has a particular fondness for Tsai Ming-Liang's Stray Dogs and his super-durational extravaganzas of alluring emptiness. 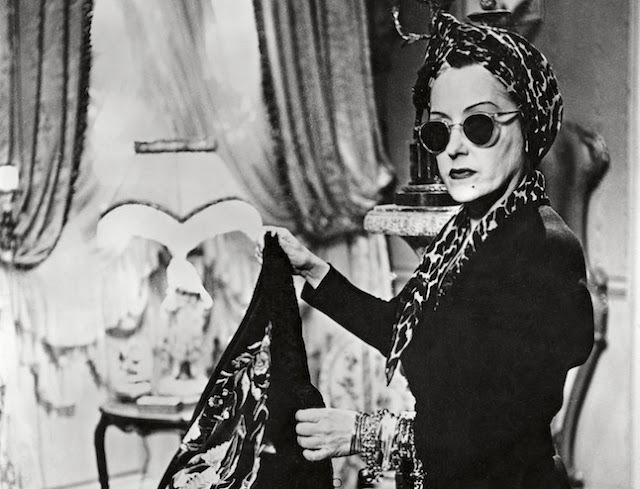 “Patience is a virtue,” Mai repeatedly reminds us in her evocation of why she loves slow films as they unfold and entertain the eye prior to the mind or heart. As she explains in her celebration of Stray Dogs, “A lot of writing on Slow Cinema concerns the absence or lack of pretty much everything. The catch word is ‘nothing’. I don’t like the context in which the word ‘nothing’ is used because I think that a lot is happening in very slow films. We merely make the mistake of comparing them to action-driven Hollywood blockbusters, forgetting at the same time that slow films show the everyday, and that our lives are not action-driven blockbusters. It is perhaps better to use the word ‘emptiness’ here, the foregrounding of emptiness, always searching for somethingness. 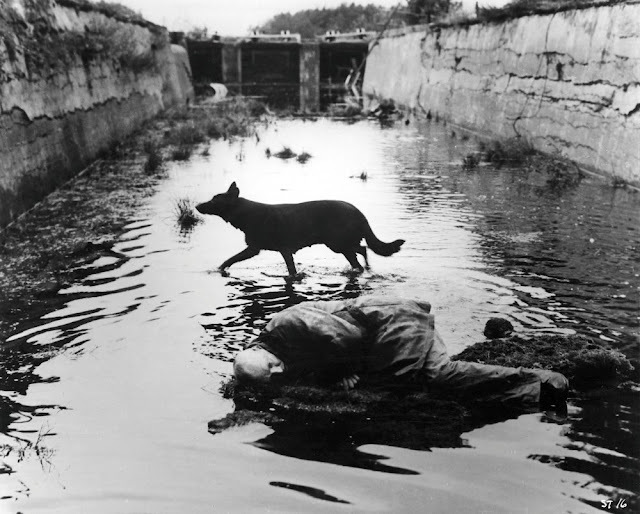 Stray Dogs, for instance, is a powerful farewell to cinema.” Patience is a virtue that pays off in the end, because there is no end. Mai’s take on this subject was played out pleasantly in her exploration of Daniel Frampton’s concept of the filmind: the photoplay obeys the laws of the mind rather than those of the outer world. She noted that this notion was evidenced very well much earlier in history in Hugo Munsterberg’s 1916 essay, "The Photoplay, A Psychological Study." 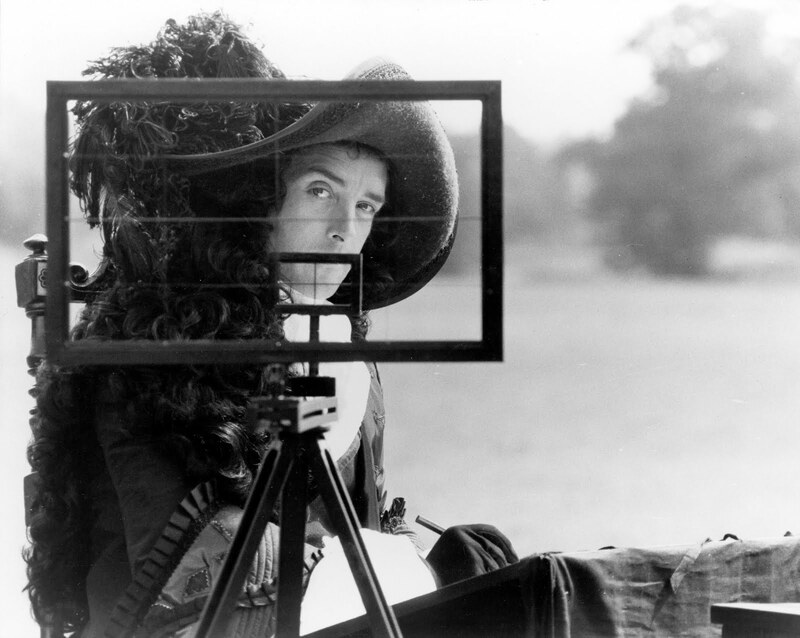 Frampton also considers film a thinking being, although he never equalizes man and film: the filmind is the origin and source of all images and sounds; it makes decisions and ‘serves itself’ throughout the production of the photoplay. Every action we encounter is the direct result of dramatic film-thinking, visualizing ideas, feelings and emotions. Here then, are a few more of these kinds of films, from a program I curated at the Cinematheque here in Vancouver. If you are able to rent these on DVD, invite a few unsuspecting friends over and ply them with huge amounts of wine, you might have yourself the makings of your own personal film festival. 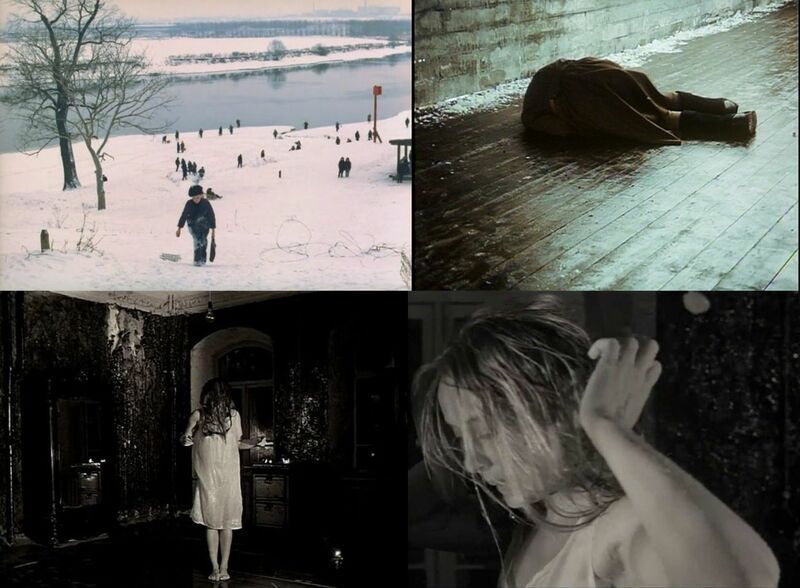 Here are a few moments from Tarkovsky’s The Mirror (1975), a motion picture which celebrates the visual image in an exemplary manner. Andrei Tarkovsky’s highly autobiographical film The Mirror came out in 1975, when it was initially lampooned as a pretentious failure in the Soviet Union (ironically the home nation where the psychological concept of montage was invented by Eisenstein) and lauded in the western world as an artistic masterpiece. A radically new form of presenting the assembly of memories in our mind, it follows a forward-flowing river of dreams and archival sequences via historical footage which documents the consciousness of a dying man. On her website, The Art(s) of Slow Cinema, Mai explores this film, as well as the concept of the filmind and filmosophy, with devotional clarity: “The filmind obscures past and present events and makes the first visible in that it deliberately undertakes an act of remembering. The obscurity of it derives from its possibility of visualizing memory in its purest form; twisted and conjured, expressed through a mixture of colour palettes and, often enough, a change of pace in past events.” This is exactly the kind of film which appeals to me (when I’m not enjoying the other bombastic blockbusters of Hollywood, which I equally love to watch) but which many audiences find perplexing. I would differentiate myself from Nadin only in her use of “slowness” in cinema and the use of my own preferred descriptive term: stillness. Scenes from Billy Wilder's Five Graves to Cairo (1943). These dream-like double-whammy features I’m focusing on begin and end with an American director, Billy Wilder, and two of the many films he made with writer-producer Charles Brackett (a relative). Wilder’s visual ethos fits in perfectly with the myriad Teutonics on display once we remember that he was Austrian, and these films contain a good deal of the expressionistic aesthetic he brought with him to Hollywood. In Five Graves to Cairo (1943), Rommel is hell-bent on the conquest of the desert in a tone spookily resonant with Klaus Kinski’s inverted version of his insane mountain in Fitzcarraldo. 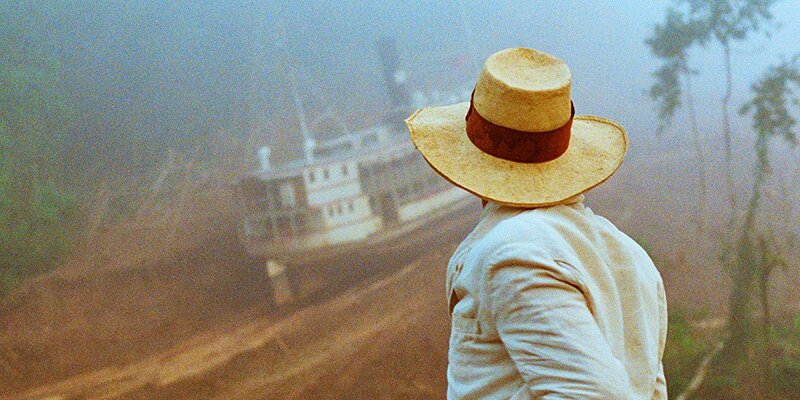 Klaus Kinski contemplates his ego in Werner Herzog’s Fitzcarraldo (1982). Another movie, another mountain, based on an impossible but true story of obsession and compulsion equal to the director’s own quest for a rarefied reality just beyond our reach. Kinski again demonstrates why he was the recurring surrogate for director Werner Herzog’s own fanatical attachment to exploring the edges of sanity. 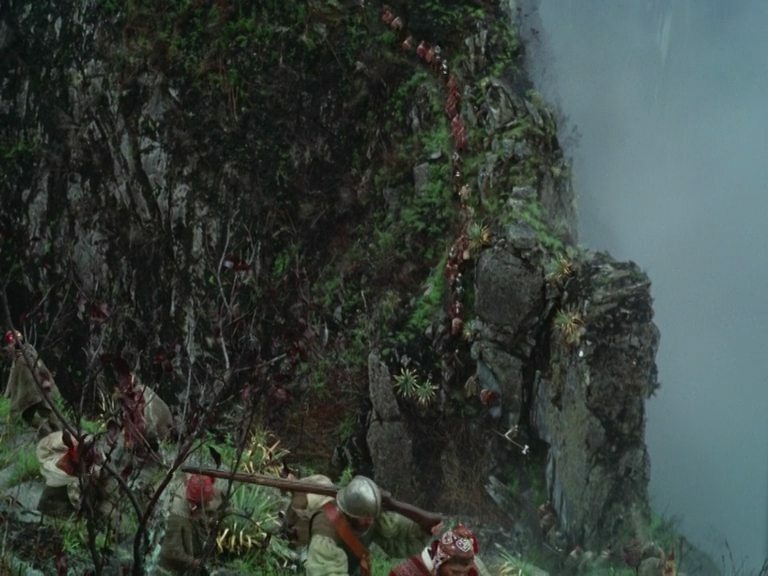 Adapted from on a true story, it is notable for Herzog’s insistence on actually dragging a steamship over a steep cliff. An image from the opening sequence of Aguirre, The Wrath of God (1972). The timeless opening sequence alone sets the emotional tone for what amounts to a visual poem carrying the narrative forward on a river of exquisite images. Herzog is the unrivaled master at crafting a series of evocative paintings unfolding in a dream landscape, one that captures the essence of conquest in a visceral confrontation. Seldom have image and music been so seamlessly intertwined. The mind-numbing opening scene presents both splendour and decay in equal measure, a harbinger of the heights and the depths yet to be unfolded by this scary allegory. Delirium and delight in small doses until the viewer reaches a kind of breaking point, just as the title character does as he unravels before our eyes in real time. Popul Vuh’s soundtrack score is also a huge character in the film. How best to portray the dream-like search for a mythical and possibly non-existent father? 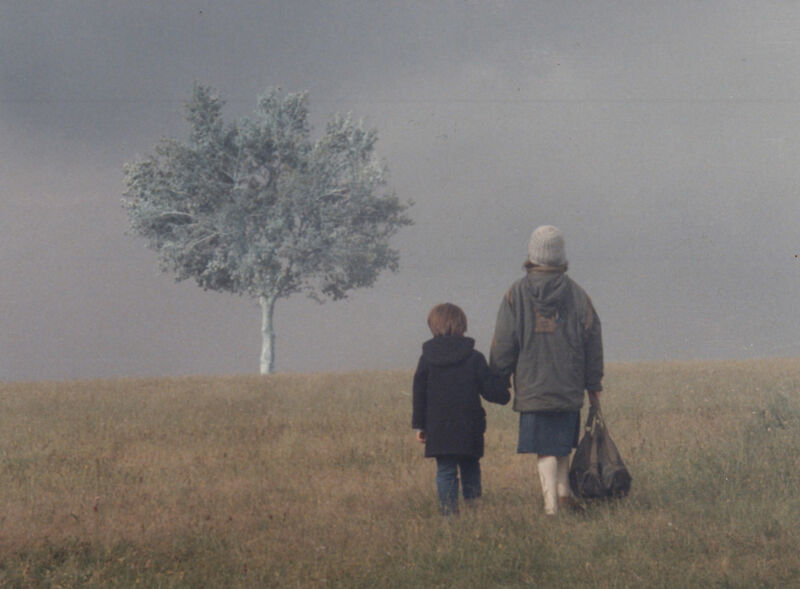 For director Theo Angelopoulos the title captures a visual metaphor for this utopian destination, a kind of promised land in a child’s mental “Germany,” and so ensues a highly episodic epic that transforms our concept of what a road movie might be. The road itself is the only real location, leading both towards and away from an imaginary life at the same time. One of those directors who makes me change my seat three times during screenings in order to find the perfect fellow viewer, invisibly silent, the way one would expect the viewer of a major work by Picasso to be. Gobsmacked. Fiercely visual, viscerally emotional, Angelopolous delivers his common themes of exile and alienation with his usual gorgeous eye for pictorial storytelling, once more married ecstatically to the haunting orchestral scores of Helena Karaindrou. 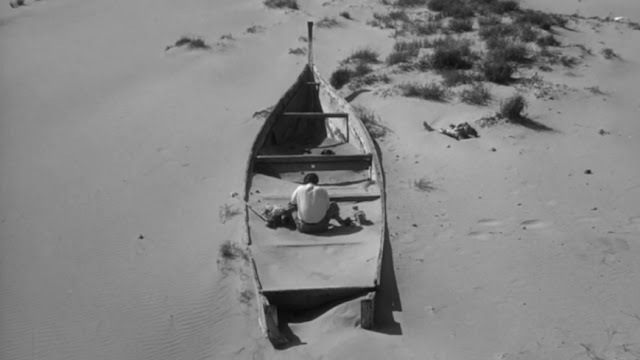 As an introduction to the magnificent music of Toru Takemitsu, or the harrowing novel by Kobo Abe, or the exquisite imagery of director HiroshiTeshigahara, Woman of the Dunes is an ideal example of how all three disciplines can be superimposed over each other until the mind of the viewer is unaware of seeing sounds and hearing pictures. Tasting what our claustrophobic human passions must smell like to the insect kingdom, this masterpiece unfolds inside our senses, then takes us beyond them, into a realm of confined spirit. Possibly the most visually splendid film ever made, though not necessarily one for lovers of linear narrative, and in its own way as obscure as screenwriter Alain Robbe-Grillet’s novels. Director Alain Resnais gives us not only a gorgeous visual feast but a great example of the heights that can be reached through the friction between the director and the writer. Images and words collide in the middle of our foreheads, where all the best films wait to be witnessed: a perfect emblem for the shared enigma of existence. 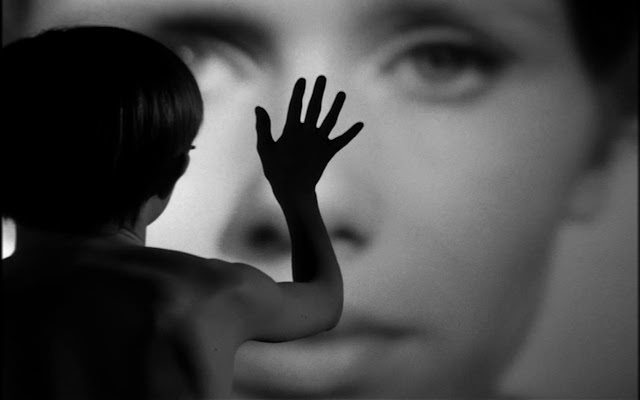 It feels like it takes years to absorb the imagery insinuated into our world by Fellini, not only in general, but in Satyricon and Juliet of the Spirits in particular. Eventually, by the time of his later tableux, one merely submits to his dream domain, which is hidden inside our waking world. The striking parallels between the excess self-centred sensations of ancient Rome in decline and the intensely immersive but illusory digital realm of today’s fragmented cultural landscapes are hard not to notice. Best to just open your eyes and let them dream. One of the most beautiful and saddest films I’ve ever seen in my life, executive-produced by Mel Brooks of all people, this quiet gem was the incredible second feature and first studio venture for director David Lynch. Parallel to the title character’s emotional plea, "I am not an animal, I am a human being, I am a man!" might be Lynch’s own unspoken cerebral declaration, "I am not an entertainer, I am an artist!" And this is one of his finest and most elegant moving paintings. This film is impossible to describe. I used to rent it in 16mm from the library and show it on my living-room wall with suitably altered soundtracks (though Prokoviev’s score is probably one of the finest in film history). 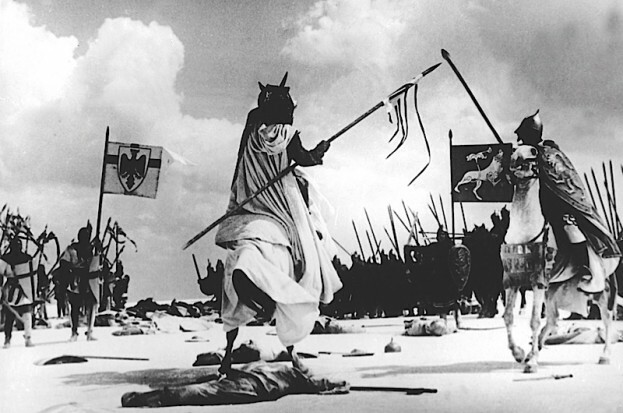 In a veritable textbook of filmmaking manners and methods, Eisenstein literally invented the concept of montage, the science of the sequence and rhythms of individual photographs juxtaposed in duration. For a time, he was the Oliver Stone of Russia. He also made history happen before our eyes. Forget about the American remake with Nicholas Cage and Meg Ryan (City of Angels). If you enjoy this mesmerizing tale with the great Bruno Ganz, just go directly to the Wim Wenders's sequel Far Away, So Close, in which Emit Flesti, Time Itself, is portrayed by Willem Dafoe, who agrees to slow time down in order to save a party of travelers. Slowing time down, in order to speed the spirit up, seems to be one of the hallmarks of this series, and Wings is a perfectly laid-out advertisement for eternity. Eternity is, of course, the secret product of all cinema. Well . 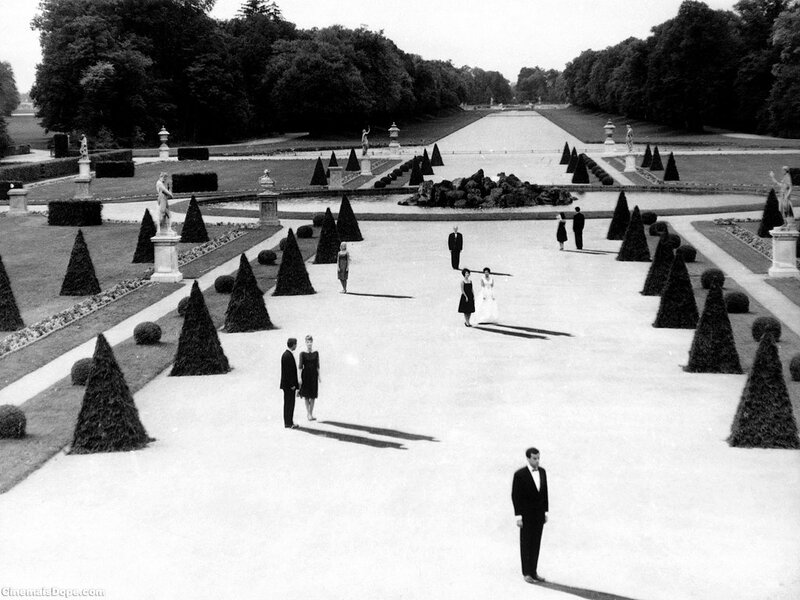 . . it’s one of those films that most explores and describes the realm of surrealist neo-realism. It’s not strange and surreal because it’s weird (though it is weird), but more because it’s all so hyper-normal. There are two kinds of people in the world, it seems: those who love it and those who loathe it. (I made the mistake of taking my wife on a first date to this one.) 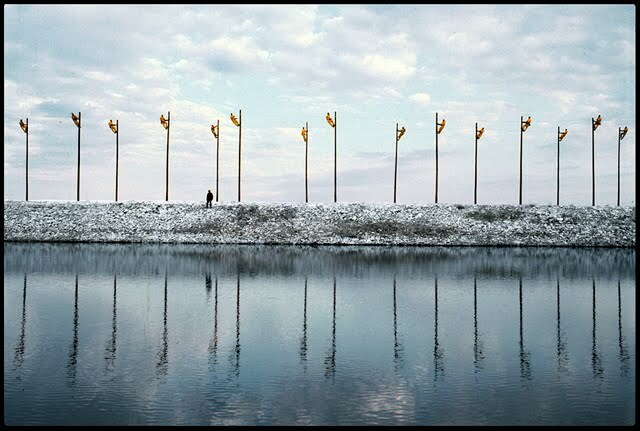 But even the loathers still marvel at the structural design of it; director Peter Greenaway stated that he executed the editing in sync with the opulent music of Michael Nyman and choreographed his images accordingly. This film most accurately conveys the meaning of Walter Benjamin’s obscure term the optical unconscious. The drained mineral-pool candle-carrying scene alone: I mean, come on. Tarkovsky's Nostalghia really gives concrete meaning to visual metaphors which the art of painting has long explored. In particular, the motif of studying Della Francesca in the midst of exile and surrounded by ruins manages to contain an existential rapture almost to the point of exploding. His serene humanism and fresco-like mentality offer us a rare gift: a sculpture made of time, frozen before our eyes but melting in our hearts. 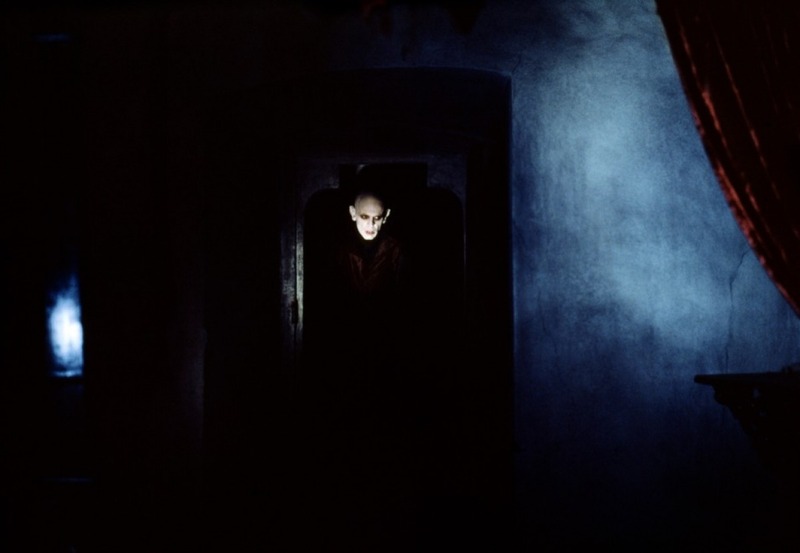 Few films could approach the harrowing humanism of the 1922 original version, directed by F.W. Murnau and starring Max Schreck, yet this interpretation by the illustriously insane Klaus Kinski gets pretty close in homage to it. Sympathy for the devil is saturated throughout this opulent extravaganza, swept along by the haunting sounds of Popol Vuh (Herzog’s Prokoviev) until by the end we find ourselves incongruously hoping for the vampire's human redemption, and inexplicably identifying with his plight. A curious combination of icy isolation and beguiling warmth pervades this remarkable character study by the cineaste most ironically credited with sidetracking Woody Allen forever by illustrating that comedy is tragedy plus time. Labeled both psychological drama and modernist horror movie, and depicted in the gorgeous minimalist language of Sven Nykvist in his sixth collaboration with director Ingmar Bergman, this is a film as much about filmmaking as life is about living. 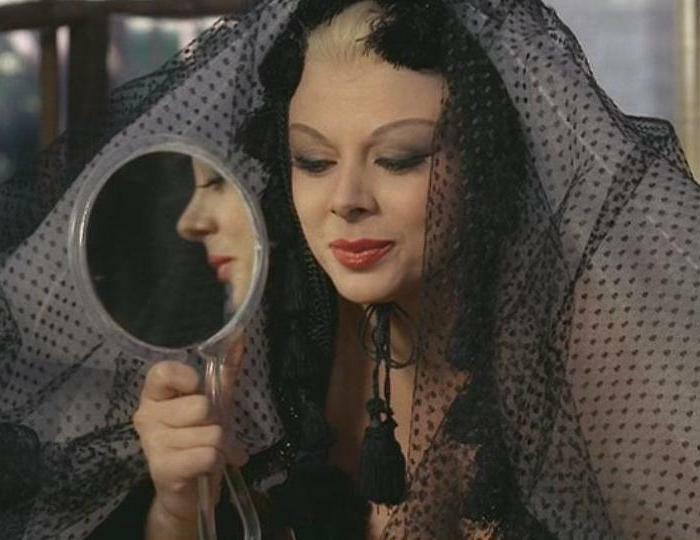 Fellini’s first film in colour is accurately if bewilderingly described as a fantasy-comedy-drama, outlining the memories, dreams and mystical notions of a middle-aged woman. 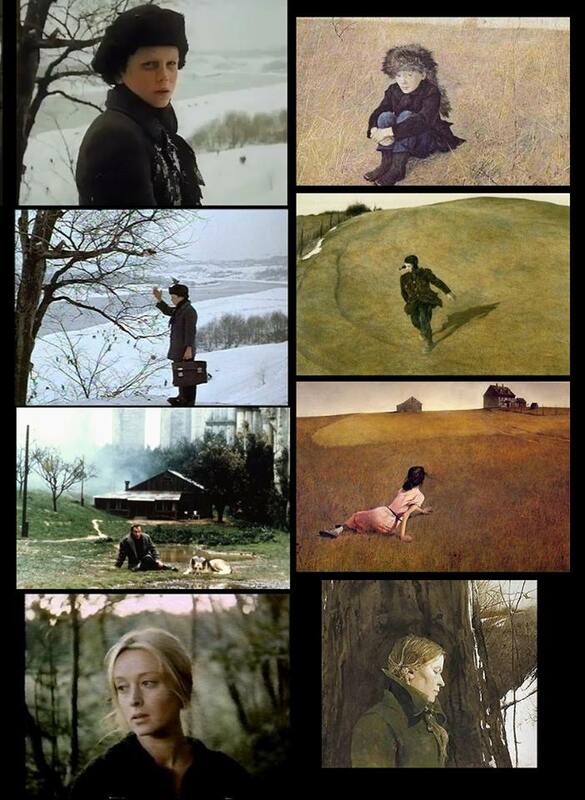 His use of “caricatural types and dream situations to represent a psychic landscape” is one of the high watermarks of cinema as painting with film. One critic called it brilliantly bananas in its use of colour and shfting tableux designed to evoke a woman’s troubled emotional states. This work certainly and honestly earns the epithet of "art film" in every respect, with the stalkers in question serving as illegal guides who cross borders into a mysterious locale called The Zone with the intention of smuggling apparently alien artifacts back to our world. Neither the normal laws of physics applying to reality nor the conventional rules of storytelling applying to cinema are pertinent here. Just settle back and let Tarkovsky do the driving. Space frozen in a dynamic equilibrium of time: one of the best ways to grasp the elusive tenderness of Alain Resnais at his best. Like much of his work, this one focuses on a long conversation about memory and forgetfulness. 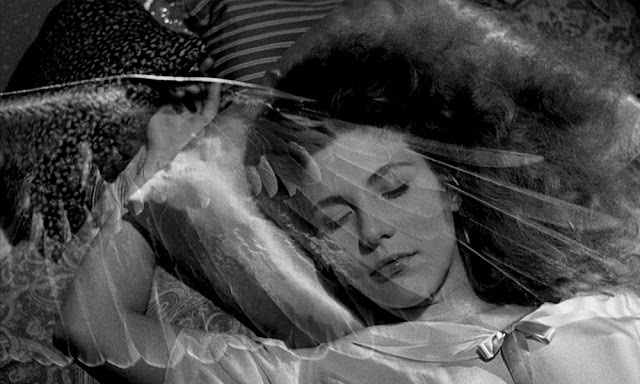 Considered one of the primary inspirations for French New Wave cinema, it utilizes innovative flashbacks and a non-linear script (courtesy of Marguerite Duras) The famous retort, "You are not endowed with memory," captures some of its enigmatic essence. Forget about that incredibly crappy and incoherent remake of his original Twin Peaks achievement; go to this first feature instead. 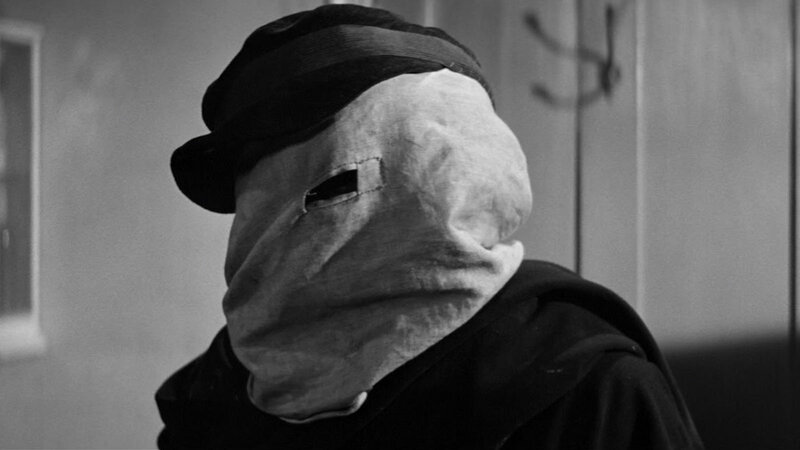 Certainly the most disturbing and bold contemplation of family and domestic life ever concocted, this early Lynch masterpiece was the impetus for his selection as the director of The Elephant Man. I recall seeing it in a pirated print at the experimental Rochdale College in Toronto under the influence of Aldous Huxley’s favourite vitamins, and I still feel as if it was yesterday. 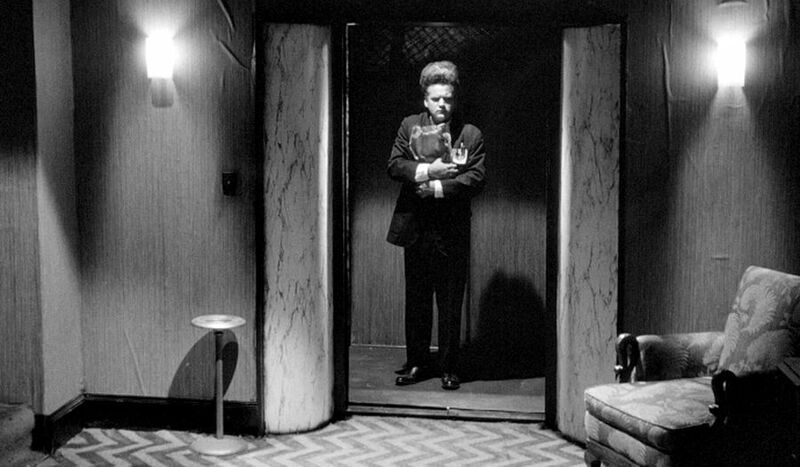 The neo-surrealist imagery and strange sexual tensions are coupled brilliantly with a powerful sound design and technical virtuosity and provide ample evidence of Lynch’s original career as a visual artist. Like director Hiroshi Teshigahara himself, an ancestral ikebana master, the film focuses on a man totally absorbed in absolute aesthetics and perfection of expression, not to mention stillness. 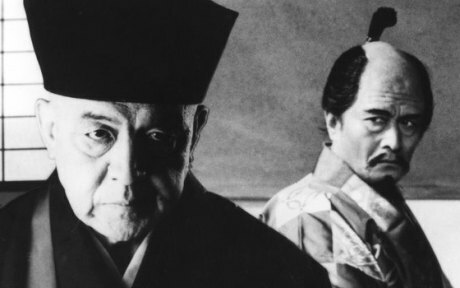 Considered the creator of the contemporary tea ceremony, and elaborating an intense emotional power within the limits of extremely constrained language, Rikyu explores the shock of real life intruding into the orderly and guarded hermetic space of an individual at war with both reason and passion. Once more, Takemitsu provides the ideal soundtrack. I suppose every one of us, including me, should be thankful that I'm focusing on this particular Jean-Luc Godard film rather than the one he made two years later, Weekend, with its seemingly endless car crash scene, which he uses as a visual symbol for the decay of European culture. The strange fact is, Alphaville works perfectly as an idealized double feature with Eisenstein, since both are all about images in duration, about dream landscapes, about oneiric storylines and psychic projections. And Godard contributed to changing cinema almost as much as the elder Russian did in his own day. 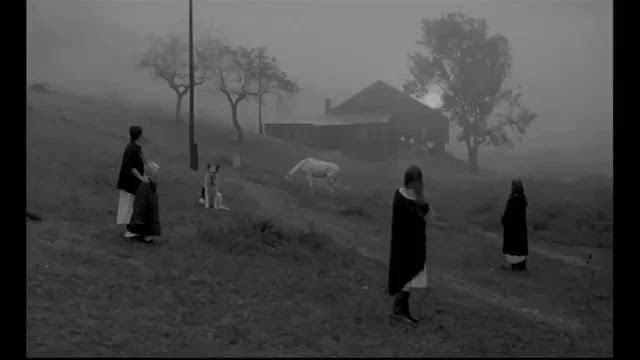 Alphaville is a good example of Godard’s early postmodern mental-montage techniques, especially when seen in the light of Eisenstein’s film form/sense binaries. Alexander Sokurov's Russian Ark is an ideal celebration of our theme, a parade of beautiful images about beautiful images, filmed entirely in the Winter Palace of the Russian State Hermitage Museum using a single 96-minute Steadicam sequence shot. The real and the fictional merge together in an exquisite meditation on movement, memory and history. The building itself is presented as an ark preserving Russian culture as it floats in the sea of time. I chose Rope not because it is a slow single-shot experience but because it was designed to appear to be one. A master of both stillness and stress, this first Technicolor work by Alfred Hitchcock is most notable for taking place in a real-time live performance and then being cleverly edited so as to appear to be a single continuous shot through the use of long takes. This work is one of the best examples of Hitch’s ongoing cinematic confrontation with what he called the empty white rectangle. The film that most viscerally examined the almost existential combat between art and entertainment at the heart of the cinematic enterprise from the beginning. The funhouse mirror of Hollywood is replaced with a magnifying glass amplifying and broadcasting the flaws in the foundation holding the two impulses together. Not unlike the art historical contest between form and content or the hierarchy inherent in the status of different materials and media. 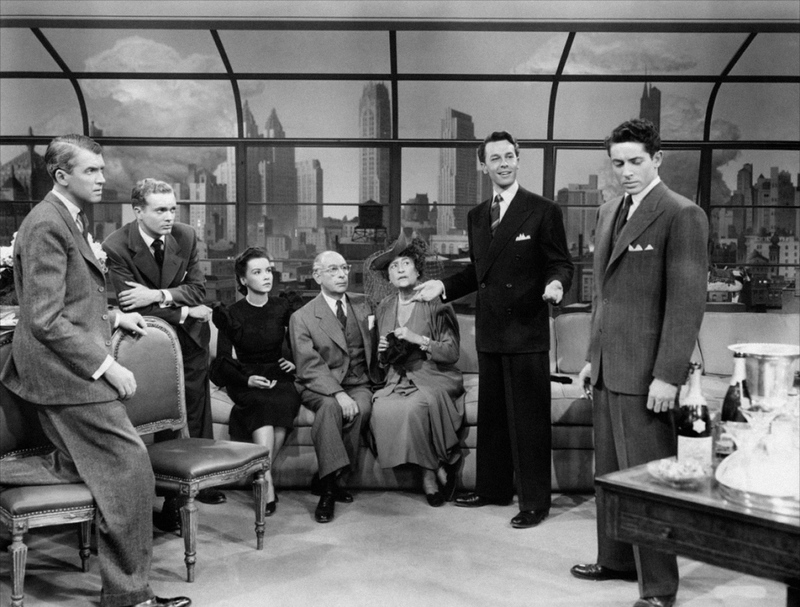 A masterpiece of film noir modernism by director Billy Wilder poised sardonically in the mid-century mind. And also a perfect closing feature to conclude your at-home film festival evening, assuming any of your friends still remain there. Pleasant dreams.